In our previous article New Jersey Family Leave Act vs. FMLA we discussed the differences between the New Jersey Family Leave Act (NJFLA) and the Federal Family Medical Leave Act (FMLA). In many cases, both leaves would run concurrently, in many other cases each leave would run independently of the other. Unfortunately, many business owners and payroll specialists believe that the New Jersey Family Leave Act and the New Jersey Family Leave Insurance are part of the same plan. Yet, they are separate and independent from each other. Likewise, although the State of New Jersey does not have a specific paid sick leave law, it does provide a Temporary Disability Insurance benefits program to its employees. This program provides for a supplementary wage when employees can’t work due to more serious illnesses or sicknesses. In addition over 13 individual cities and towns within New Jersey have local sick leave ordinances including East Orange, Newark, Jersey City, Montclair, Passaic, Paterson, Irvington, Trenton, Bloomfield, Elizabeth, New Brunswick, Plainfield, and Morristown. 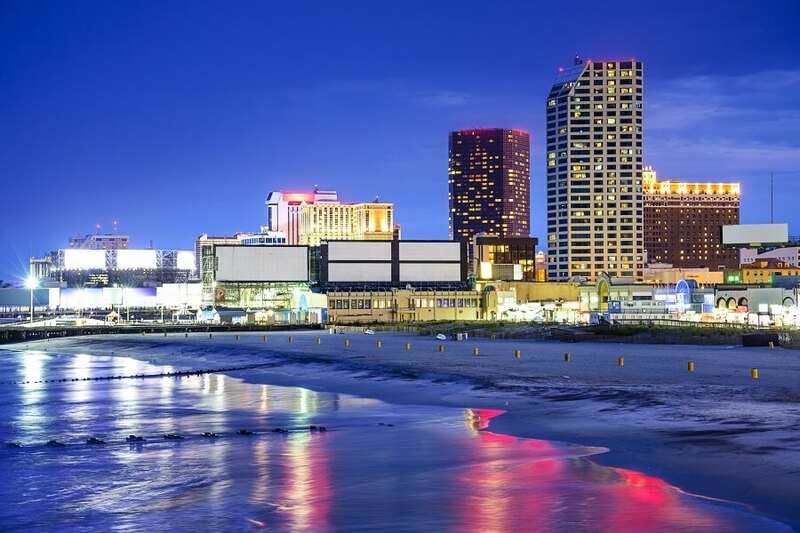 The purpose of this article is to provide an overview of the paid benefits programs and how they can work in correlation to the protected leave acts of both New Jersey and the Federal Government. The New Jersey Family Leave Insurance was enacted in 2009 and made New Jersey the second state to provide paid benefits for family leave. It provides up to 6 weeks of paid benefits in a 12 month period that starts on the first date of the benefits claim. It provides ⅔ wages benefits up to $615 a week. Family Leave Insurance covers all employees in New Jersey regardless of employer size. The benefits are funded by employee payroll deductions. Employees are eligible for payments for bonding with a new child through birth, adoption, or foster care placement. They can also qualify to take care of a family member with a serious health condition. The leave must be taken in a minimum increment of 7 days. Employees are required to provide a 30 day notice to their employers unless they are unable to due to a serious health condition or injury. If the employee fails to notify employers of leave being taken, they can lose benefits of up to 14 days. For employees to qualify, they must have earned at least $168 a week for the previous 20 weeks or must have made at least $8,400 during the preceding year. The Family Leave Insurance Program provides paid benefits, but does not provide for protected leave. Even so, in many instances employees may have protection under FMLA or NJFLA laws. Any employee who takes the New Jersey Family Leave Act protected leave would be able to claim benefits under the Family Leave Insurance. However, employees of small employers would not qualify under either FMLA or the NJFLA, but would still be eligible for supplemental wages under Family Leave Insurance. This means that their leave isn’t protected leave under the law, but that they still receive partial wages during the leave. Another example are employees who haven’t been with the same employer long enough to qualify for either FMLA or NJFLA, but that would still be eligible for the Family Leave Insurance. Like Family Leave Insurance, New Jersey Temporary Disability Insurance (TDI) was one of the first programs of its kind and was enacted in 1948. It provides paid benefits for employees who have to take time off of work due to their own illness, injury or pregnancy. TDI can benefits can be provided through the state’s program or through a private provider chosen by the employer. Similar to Family Leave Insurance, the employee must have worked at least 20 weeks preceding the disability or have made at least $8,400 in the preceding year. Although New Jersey doesn’t require employers to provide paid sick leave, this program, run through the state does provide paid leave for more serious illnesses or injuries. The main qualifying factor is that the health condition must prevent the employee from working and cannot be caused by a work injury. Secondly, employees must take leave of at least 7 days to qualify for TDI. Similar to the FMLA medical provisions, if the employee is unable to work for 7 days or more, they qualify for TDI. If the employee and their employer qualify for FMLA leave, then they could use protected leave during the disability benefits period. TDI also pays benefits for employees who seek help for alcoholism or an alcohol related illness if they are receiving treatment or participating in a licensed program. Pregnancy related disability Insurance covers up to 4 weeks of paid leave previous to the birth of a child and an additional 6 weeks of coverage after the birth of a child. Like Family Leave Insurance, Temporary Disability Insurance covers ⅔ of the employee’s wages during the benefits time. For other injuries, illness, or health conditions, employees can receive a benefit of paid leave up to 26 weeks in a year. Many employees who qualify for FMLA protected leave for the purposes of their own serious health condition or injury would also qualify for payments under New Jersey’s Temporary Disability Insurance. It is worth noting that New Jersey also has a safe time act for victims of domestic violence and sexual assault. New Jersey’s Security and Financial Empowerment Act (NJ SAFE) provides up to 20 days of protected leave for employees who are the victims of domestic violence or sexual violence. To seek medical attention, or recover from injuries caused by the violence, domestic or sexual. Attending preparing or participating in a court proceeding related to the violence. Businesses in New Jersey must be aware of the implications and practical application of the New Jersey Family Leave Act, Security and Financial Empowerment Act and the applications with FMLA.